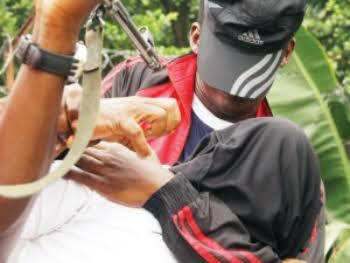 There was pandemonium in Amaigbo, Nwangele Local Government Area of Imo State on Saturday as some fleeing gunmen suspected to be kidnappers killed a man and abducted a lady believed to be the girlfriend of the deceased. The man, Theo Mbakwe, aka Chiboy, was shot dead in front of his parents. A chieftain in the community, Ebubeagu Ekenulo, said the suspects fled with a girl in the victim’s vehicle, describing the killing as a shock to the community. Another eyewitness said the fleeing killers did not tamper with the victim’s car and only dragged his female friend into the car before they sped off. Confirming the killing to The Punch in a telephone conversation on Sunday, the Police Public Relations Officer, Andrew Enwerem, said the Commissioner of Police, Dasuki Galadanchi, had ordered immediate investigation into the killing. The police spokesperson said the CP had mandated the heads of the tactical units of the command to apprehend the fleeing killers. Enwerem said, “From preliminary investigation, it is presumed to be a murder case. They are suspected assassins.